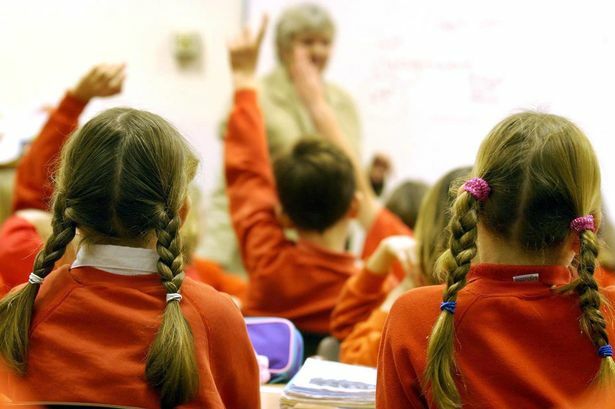 Poor performance in the classroom by overweight children could be down to teachers’ prejudice, a Birmingham academic has claimed. The city is in the grip of an overeating crisis, with four out of ten youngsters classed as overweight or obese by the age of 11. But now several reports suggest increasing evidence these children are being discriminated against . Angela Meadows, doctoral researcher in psychology at the University of Birmingham, said one study of almost 6,000 pupils in the UK found that higher body weight at age 11 predicated lower scores on standardised tests at age 11, 13, and 16. This was particularly the case in girls, and a decline that was not explained by lower IQs. New figures revealed 23 per cent of Birmingham youngsters started their school lives with a weight problem. But by the time they leave for secondary school the figure of those classed as overweight or obese has rocketed to 38.8 per cent. The national average for 11 year olds is 33.5 per cent. More than 3,300 children completed standardised tests of maths and reading ability at age 10-11 and at age 13-14. The researchers found weight gain had no effect on test scores, but it did make a difference to how teachers rated the students’ academic competence. Ms Meadows added: “Reports of weight-related bullying and discrimination from teachers and professors are on the rise. “These early disadvantages have serious implications. First, there is the direct psychological cost of this hostile environment, including greater rates of anxiety, depression, and suicide among heavier young people. A recent study even suggested that bullying may be more harmful than child abuse in the long-term. “But there is also a cost in terms of more limited life opportunities. In general, heavier individuals tend to have fewer years of education overall, are less likely to go on to higher education. “In fact, the research in this area tells us that heavier individuals, and in women in particular, are less likely to be hired, more likely to be disciplined or fired, receive poorer performance appraisals, and earn less money for the same work . “Given the impact on both education and employment opportunities, it is perhaps not surprising that higher-weight individuals are also more likely to belong to lower socioeconomic groups, as confirmed by the latest Health Survey for England data. “We need to halt this downward trajectory. It is not uncommon for researchers to call for increased awareness of the ‘detrimental impact of obesity on educational achievement’. “But this just adds another layer of stigma onto already disadvantaged children. This year Public Health England launched a campaign to encourage people to lose weight and live healthier lifestyles. The NHS Choices National Child Measurement programme recently revealed Birmingham was home to one of England’s heaviest five year olds, who tipped the scales at 9.2 stone. The research also found 20 Year Six children – aged 10 or 11 – in the Birmingham area weighing 16 stone or more in the five years from 2008/09.